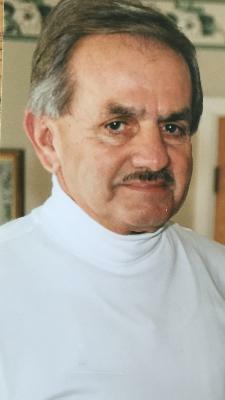 MOOERS-Donald R. Rabideau, 81, died peacefully on Tuesday, January 12, 2016 at CVPH Medical Center in Plattsburgh, NY with his loving wife, Norma, by his side. He was born at the Rabideau family home in Mooers Forks on October 3, 1934. He was the son of Alex and Lila (Poissant) Rabideau. Donald wed the the love of his life Norma (Sample) on September 30, 1961. They raised two sons, John and Joel, in Mooers. John wed MaryAnn (Duve) and together they have two sons, Andrew and Alex, and reside in Chazy. Joel wed Shannon (Carey) and together they have two children, Emma and Ethan, and reside in Peru. Donald served his country in the U. S. Army as a mechanic. His career as a service technician at Harris Graphics for many years suited his mechanical abilities and enabled him to travel the globe and make many friends whom he cherished. Donald valued family, church and community. He spent many hours playing and working with his family. He never missed a chance to help out a family member or friend in need. He volunteered for the Mooers Fire Department, was a Village Trustee, belonged to the Knights of Columbus and pursued opportunities for community building and growth with his free time. Donald's prized possession is his Farmall F14 tractor that he refurbished with his brother, Gilbert. He rode the tractor in various local parades, and enjoyed showing it to family and friends when they paid a visit. He won first place at the Saint Ann's Bazaar in 2001 for Antique Tractors in Mooers. It gave him great joy to display this tractor in his yard. He is survived by one brother, Gilbert Rabideau of Mooers Forks and his wife Shirley and two sisters, CeCile LaPierre and her husband Donald of Mooers and Beatrice Tetreault and her husband Emile of Syracuse. He was predeceased by brothers, Raymond (Clara), Eugene (Bea) Rabideau, Rene (Marcella) Rabideau, Hector Rabideau, Alex Rabideau Jr., Phillip (Theresa) Rabideau and a sister, Irene Premo. He will be mourned by many nieces and nephews. He will be missed by in-laws David Jr. (Sharon) Sample, Bruce and Scarlett Sample, Alton and Sandy Sample, George and Denise Sample and Roger and Sally Sample along with many nieces and nephews. A special thank you to the caregivers that assisted Donald and Norma over the past few years. Their love and support enabled Don to live out his years happily in his home. He grew to love them as family. Calling hours will be held on Thursday, January 14 from 4:00-7:00 pm at the Ross Funeral Home in Mooers. A Catholic Mass will be celebrated on Friday, January 15 at 10:00 am in St. Joseph's Church in Mooers. Burial will be in the parish cemetery at a later date. Memorial donations may be made to Hospice, St, Joseph's Church in Mooers, or the Mooers Fire Dept.